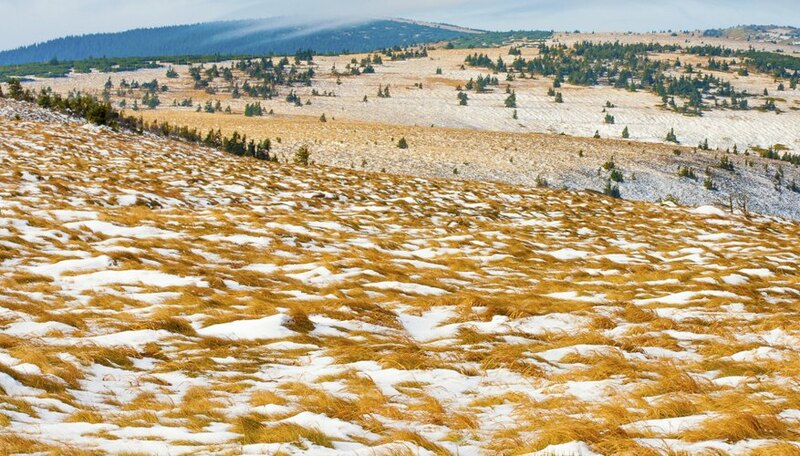 Generally categorized as Arctic or alpine, tundra refers to a treeless biome that ranks among the coldest on Earth. Though covered in snow most of the year, the tundra experiences a short summer growing season during which animal and plant activity peaks. Virtually no reptiles or amphibians can live in tundra's harsh conditions, but other tundra plants and animals have developed adaptations that allow them to survive in such a frigid environment. A number of mammals can survive in tundra habitats thanks to special adaptations and the insulation fur and fat provide. A prominent example is the herbivorous musk ox. One of the largest Arctic tundra mammals, the musk ox has a dense coat which, combined with its large size and short legs and tail, reduces the loss of body heat. Other arctic tundra herbivores include arctic hares, squirrels, voles, lemmings and caribou, which have hooves that support them in snow. 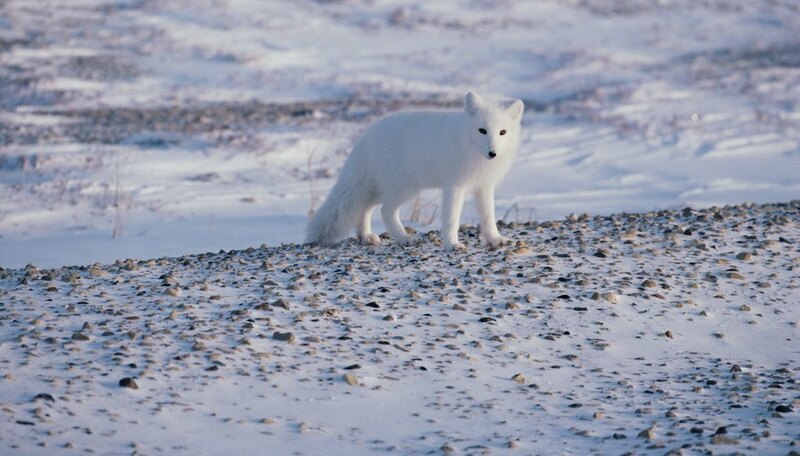 Arctic tundra carnivores include arctic foxes and polar bears. In alpine tundra, marmots, mountain goats, pikas, sheep and elk occur. Many birds that occur in Arctic tundra are migratory, which means they only travel to such regions during the warmer summer period. These include ravens, snow buntings, falcons, terns and several gull species. Others birds, however, such as ptarmigan and the lemming-eating snowy owl, are year-round tundra residents. 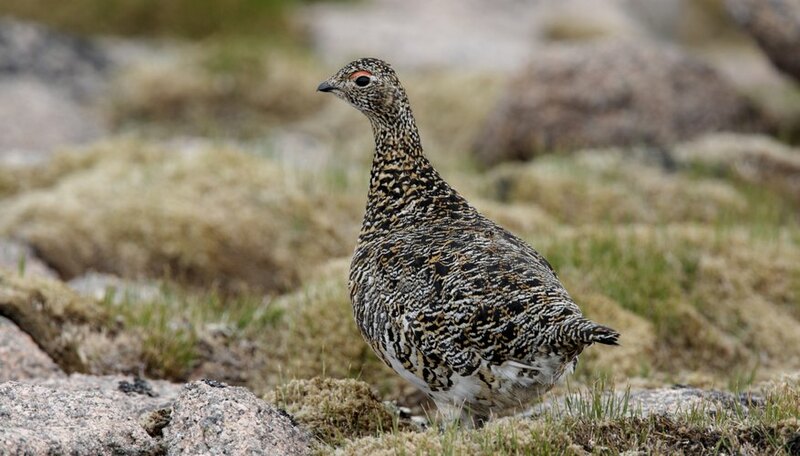 Ptarmigan are brown in summer, but white in the winter. Male snowy owls are completely white, which makes it difficult for predators to spot them against snow. One insect species that has adapted well to frigid conditions is the tundra bumblebee, which has dense hair that guards against heat loss. It can also use its flight muscles to generate heat through shiver-like movements. 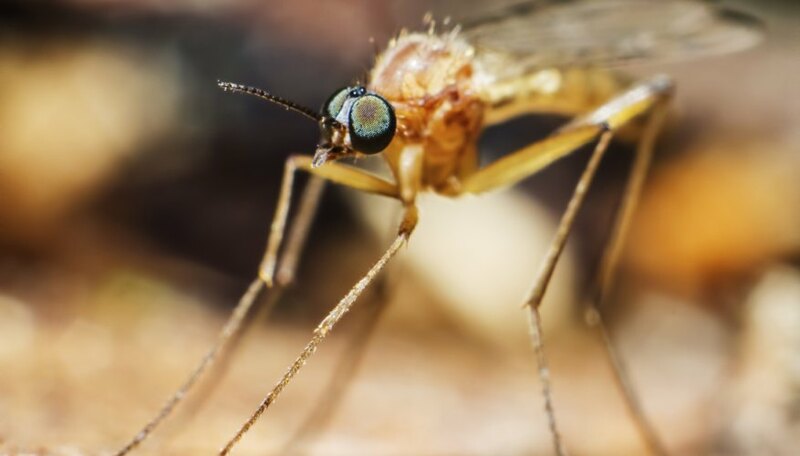 Mosquitoes, flies and moths are also found in Arctic tundra regions, while grasshoppers and butterflies occur in both Arctic and alpine tundra. Cod, flatfish and salmon are a few of the fish found in tundra waters. Some tundra fish have special adaptations, like the Alaska blackfish, which produces a chemical that lowers the freezing point of the fluids in its cells. Many animals that live in tundra environment, including fish, grow and reproduce at slower rates. 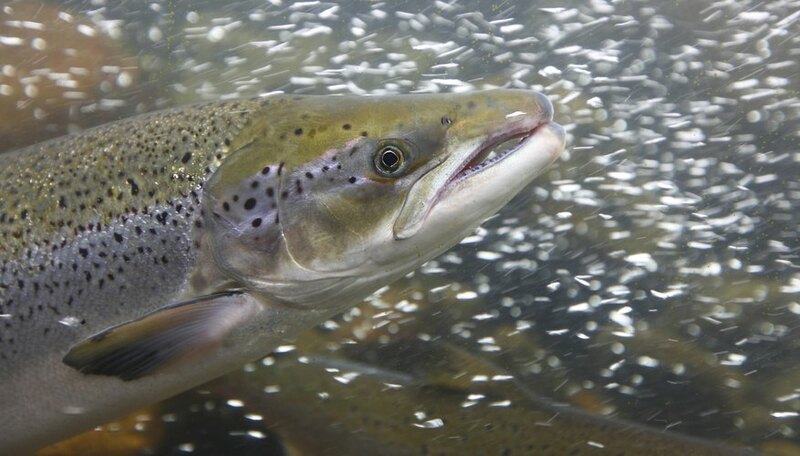 Unlike trout in other parts of the world, for example, tundra lake trout have been known to take up to 10 years to mature. According to the University of California Museum of Paleontology, 1,700 kinds of plants occur in Arctic tundra. Some of the adaptions that allow vegetation to grow in these regions include short roots and furry or wax-like coatings. The flowers of the woolly louse, for example, have dense hair that generate heat through a greenhouse-like effect. 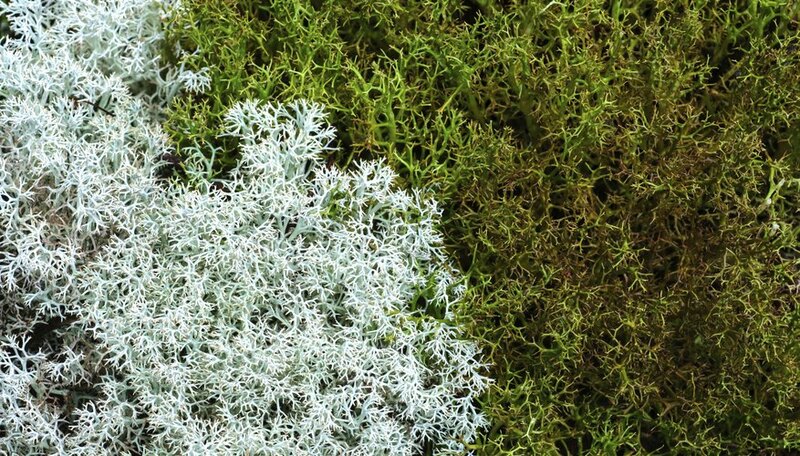 Other Arctic tundra plants include shrubs, sedges, reindeer mosses, liverworts, grasses and several species of lichen. 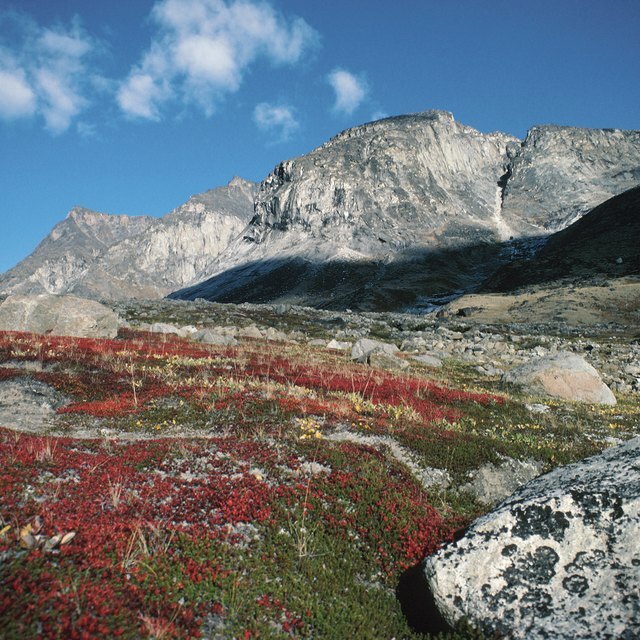 Drainage is limited by permafrost in Arctic tundra, but not so in alpine tundra, where dwarf trees and small-leafed shrubs are plentiful. Alonso, Nathalie. "Plants & Animals That Live in the Tundra." Sciencing, https://sciencing.com/plants-animals-live-tundra-7830304.html. 06 August 2018.